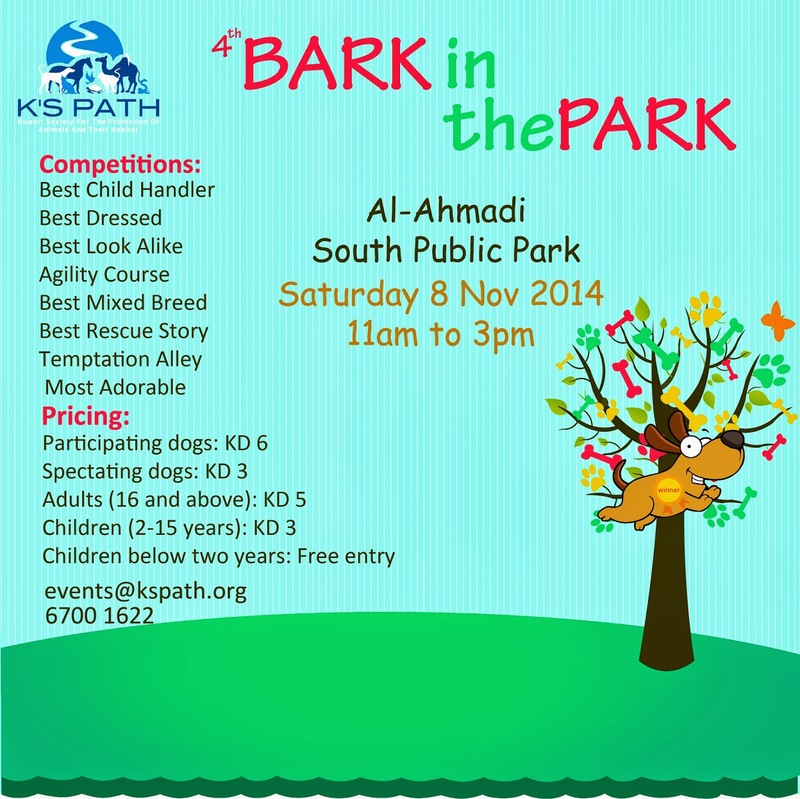 'Bark in the Park' organized by K’s Path - Kuwait Society for the Protection of Animals and their Habitat, at the Al Ahmadi South Public Park. Fun day for families and pets on Saturday 8th November. From 11am to 3pm. Email events@kspath.org or Telephone: 6700-1622.